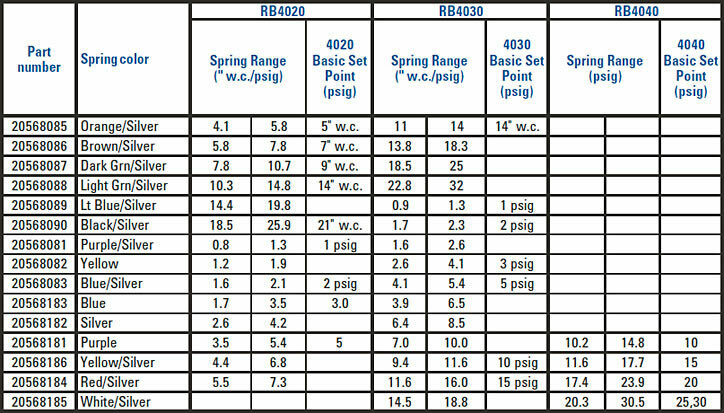 The Series RB4000 Pressure Regulator is designed for gas supply networks, district station regulation, industrial service regulation, and all applications where accurate pressure control, ease of adjustment, and fast response are required such as for burners, industrial ovens, boilers, etc. 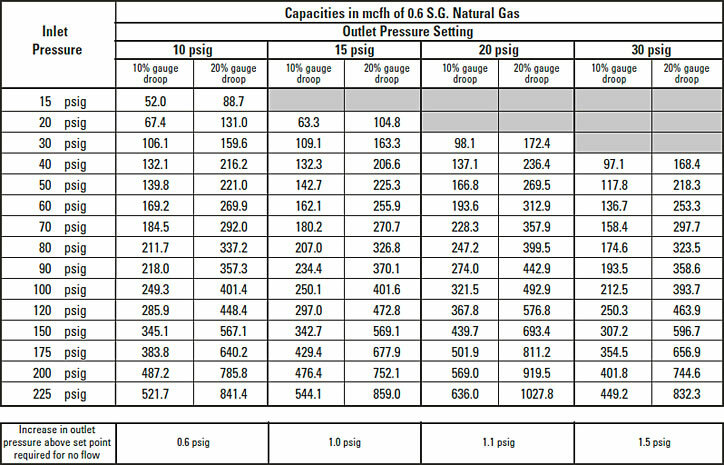 Fluids: Natural Gas, Propane, Butane, Air, Nitrogen, etc. 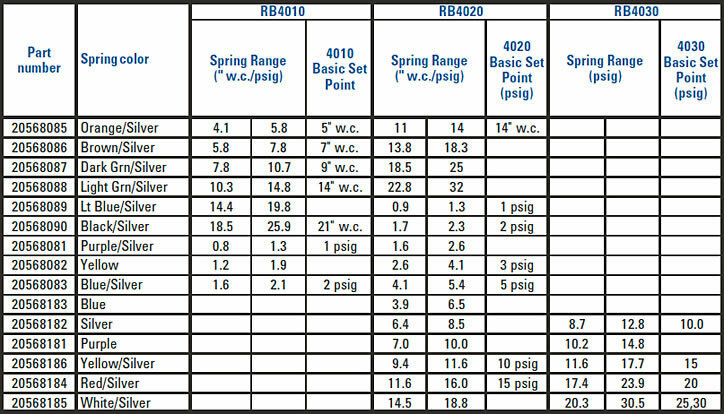 * Please specify valve body material on your order (Ductile Iron or Steel). 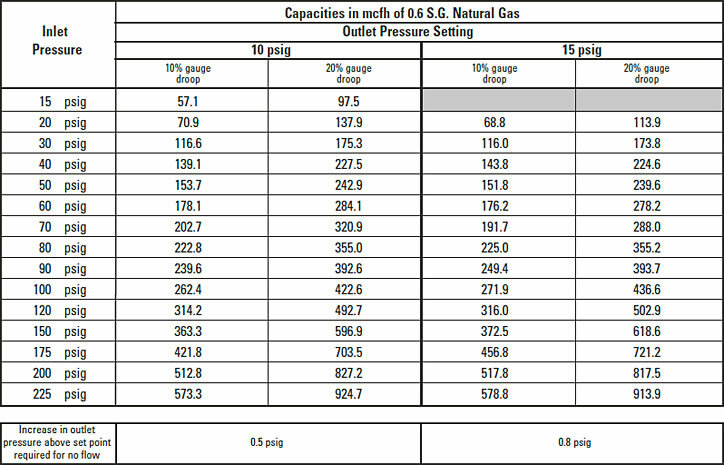 ** Multiply capacity data by 0.7 when using shut-off valve versions. 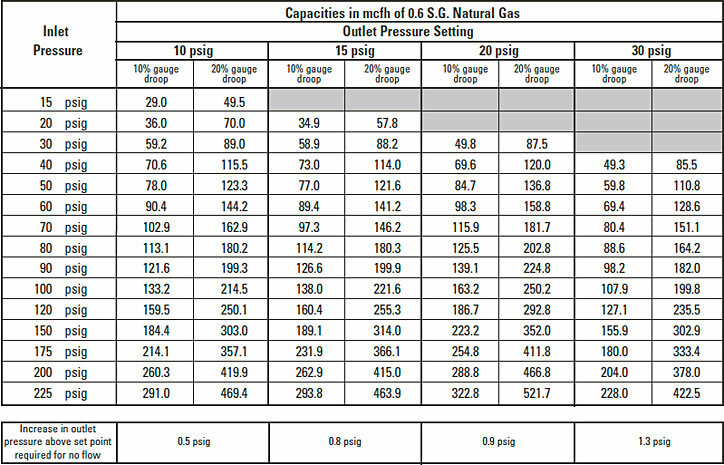 The fluid from the upstream pipe enters the inlet chamber (8), passes through the opening in the valve seat (29) and (7), expands in the outlet chamber (11) and then enters the downstream pipe. 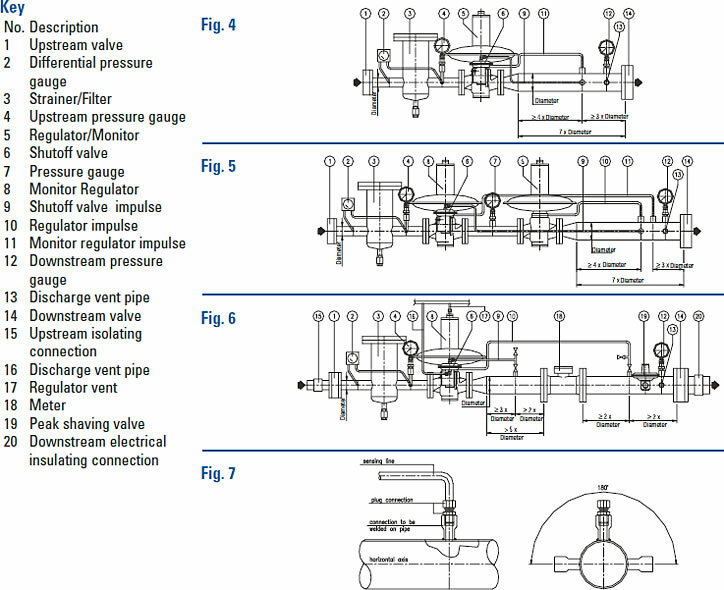 The pressure of the gas is sensed downstream via the control line, and passes through the port (13) before entering the control chamber (14). 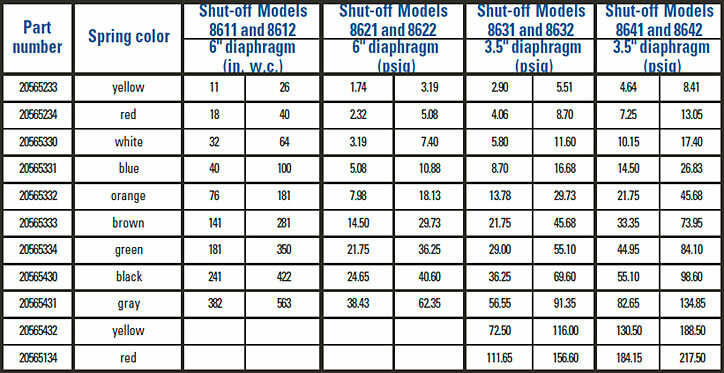 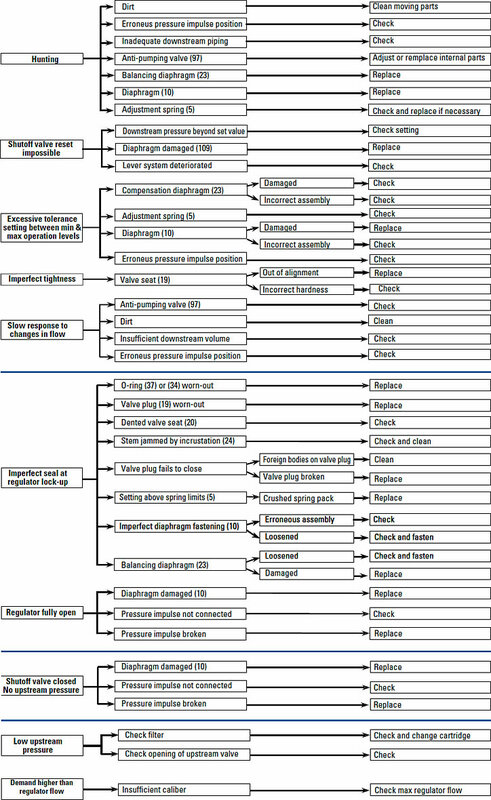 This pressure exerts a force on the surfaces of the diaphragm (15) that balances the calibration spring (2) load for the ideal positioning of the valve plug (10) required to guarantee the requested flow and downstream regulation. 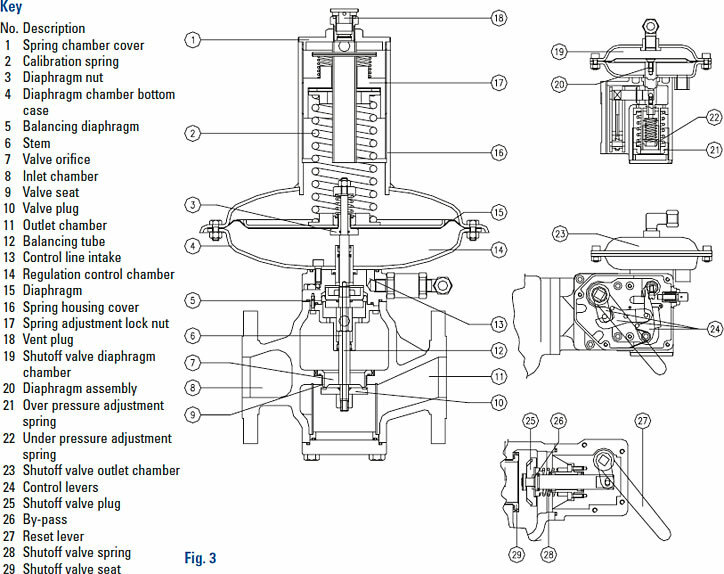 If, during operation, the flow increases due to a greater demand or the upstream pressure decreases, the pressures in the chambers (11) and (14) immediately drop and the calibration spring (2) moves the diaphragm unit (15), the stem (6) and the valve plug (10) downwards, thereby modifying the adjustment position to give the required pressure and flow values. 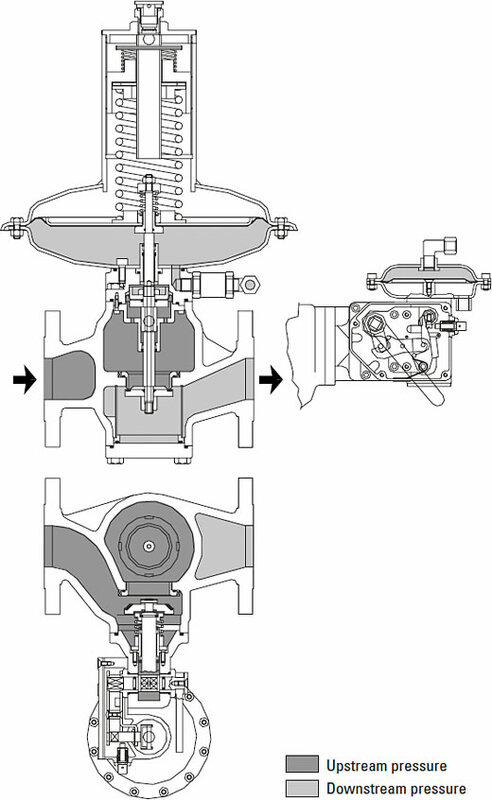 The reverse action occurs whenever the flow decreases or if the upstream pressure increases. 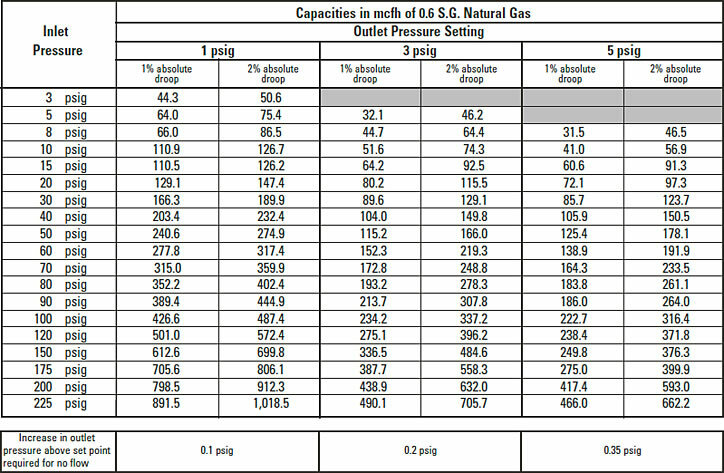 In this case, the pressure regulator's adjustment unit is balanced, and this permits the annulment of any negative forces created because of the change in the pressure upstream in order to guarantee a constant outlet pressure. 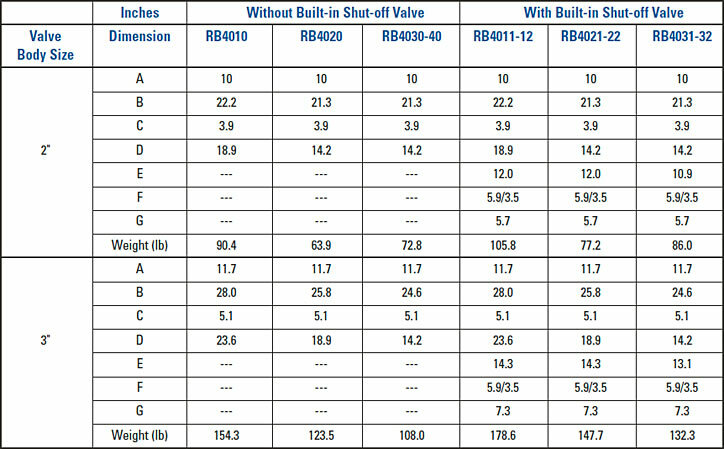 At zero flow rate, the regulator guarantees full tightness in lock-up. 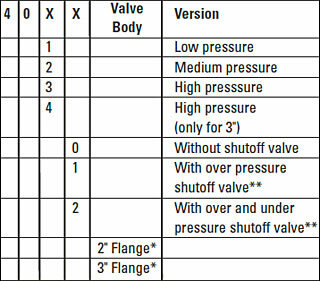 The shutoff valve is composed of the pressure switch for pressure comparison (23), the control levers (24) and the shut off valve plug (25). 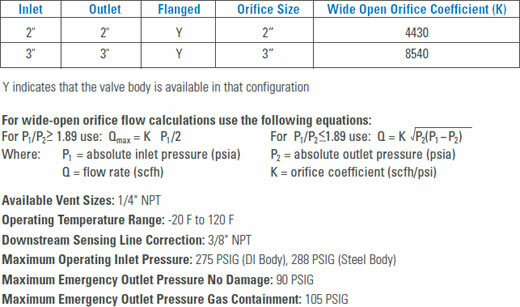 The shutoff valve is triggered whenever the pressure in the control chamber (19) increases or decreases beyond the established values. 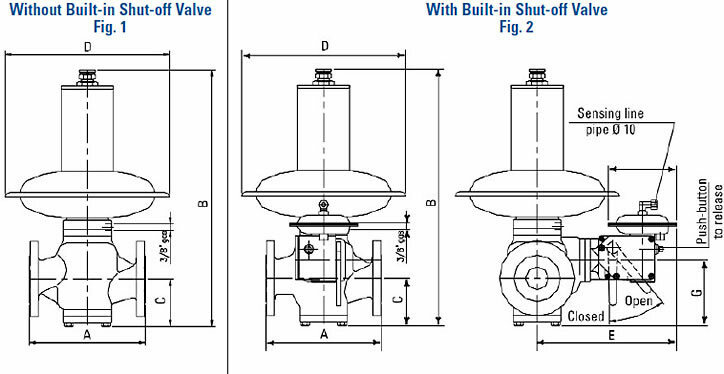 This is achieved when the diaphragm unit (20) moves from the unbalanced position and trips the control levers (24) to release the shutoff valve (25). 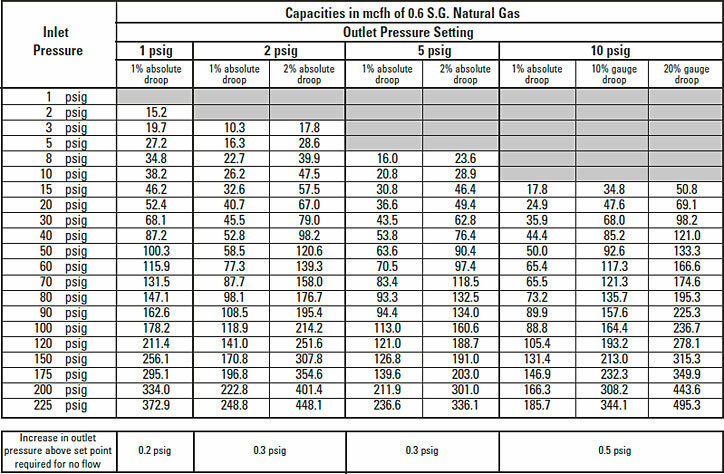 Under the force generated by the spring (28), the shutoff valve (25) is brought into contact with the valve seat (29) and immediately interrupts the flow of gas. 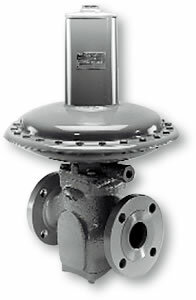 The monitor regulator intervenes whenever the main active pressure regulator malfunctions (e.g. 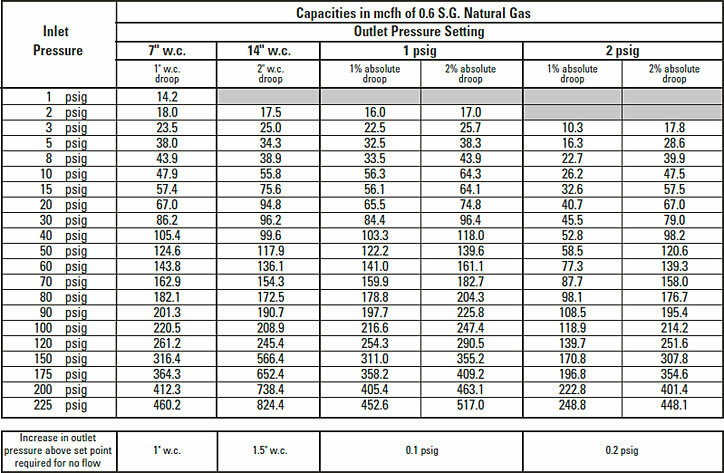 fails open), and causes the downstream pressure to rise to the set pressure of the monitor regulator.